Mike Young and his wife have spent 44 years living beside an unpredictable neighbor: The Ohio River, which on Monday began its semi-regular creep up to their front door in New Richmond. By midnight, the National Weather Service estimated had risen to 51.73 feet — just a smidge below its 52-foot flood stage. 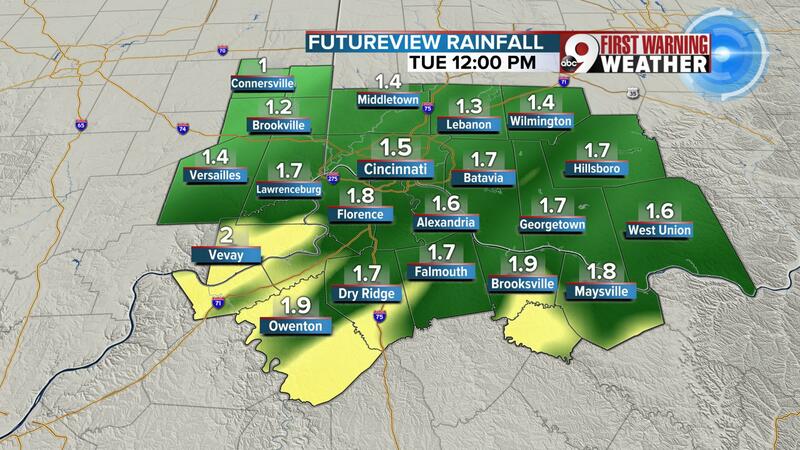 CINCINNATI — Showers will continue over the next 48 hours, and the Ohio River is steadily rising. 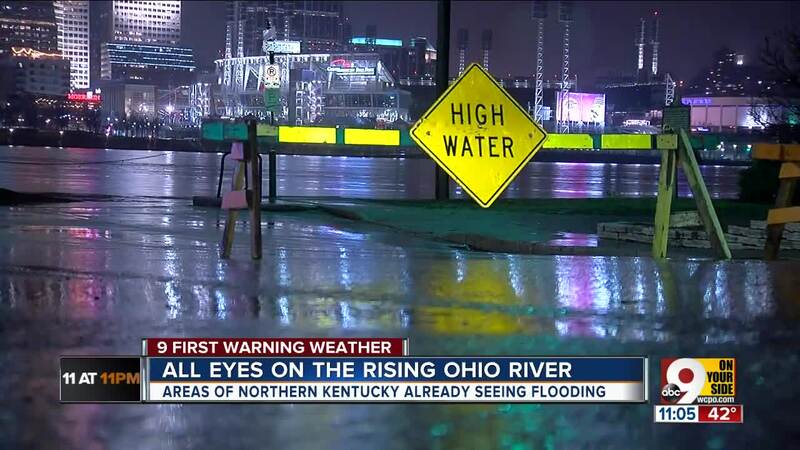 As of Monday morning, the Ohio River was at 50.6 feet. This is at the top end of Action Stage and up a foot from Sunday morning. According to the National Weather Service, at 50 feet, water begins to cover low areas of Kellogg Avenue from east of Delta Avenue upstream to near Coney Island and Belterra Park. Parts of Humbert Avenue in the East End of Cincinnati also begin to flood. Some of Public Landing becomes flooded, as well as Riverside Park off River Road. With another one to two inches of rain falling across the Tri-State from Sunday through Thursday evening, rivers in the area will likely rise and this includes the Ohio River. The latest forecast from the National Weather Service has the Ohio River rising to 56.3 feet by Tuesday afternoon. This is a higher projection than what we saw yesterday. Here is a breakdown from the NWS showing what floods between 54 and 56 feet. Significant flooding of California occurs. Backwater flooding along the Little Miami River affects basements and some first level flooding of businesses and homes, with low-lying areas from California to Newtown also experiencing this flooding. 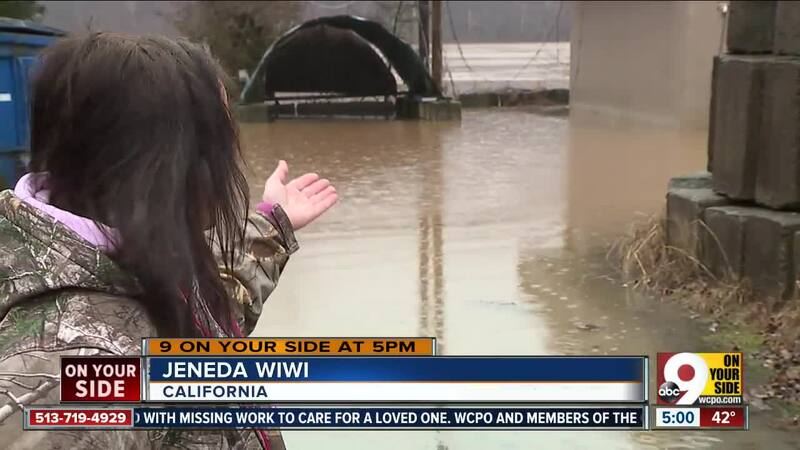 The East End experiences flooding of some streets, basements of homes and businesses, as well as low-lying areas near New Richmond in Clermont County. State Route 8 in Kentucky is flooded in low areas, as well as State Route 56 in Indiana and Route 52 in Ohio. Widespread backwater flooding along creeks and streams occurs, with Route 8 in Kentucky, Route 56 in Indiana and both Route 52 and old Route 52 flooded in areas. 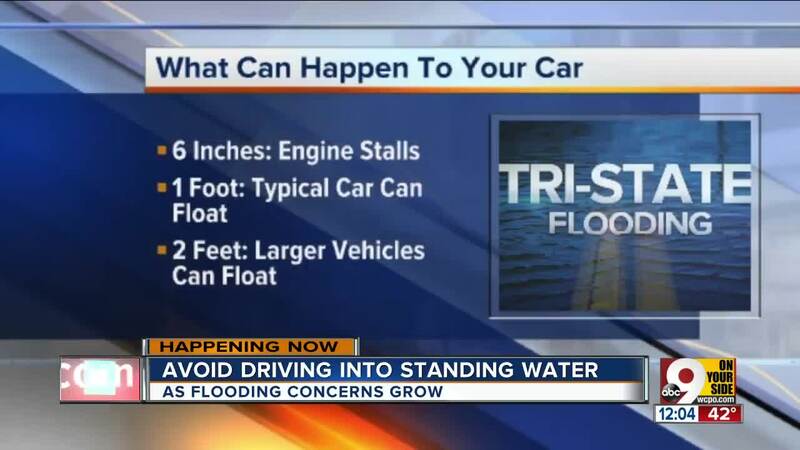 Backwater flooding also affects Anderson Township, flooding numerous roads and basements. Locations most affected include low-lying areas near New Richmond, the East End, California and Anderson and Pierce Townships. 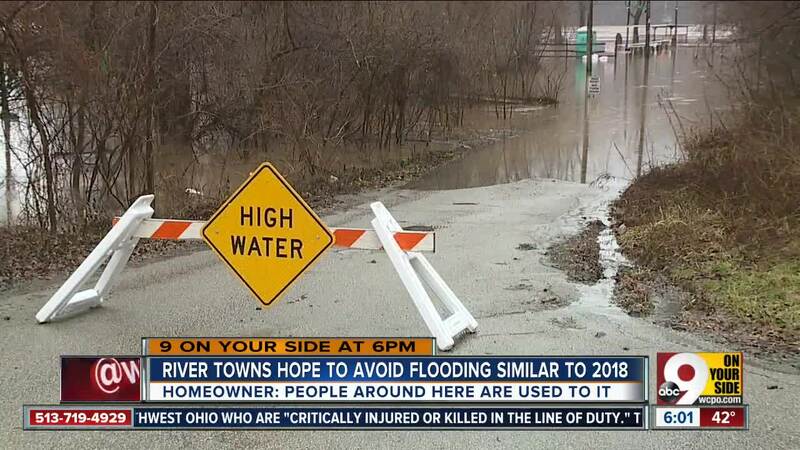 Backwater flooding continues to affect much of northern Kentucky, southwest Ohio and Southeast Indiana. Low lying roads near the river continue to flood, with much of Anderson Township, the East End and California near the river affected. 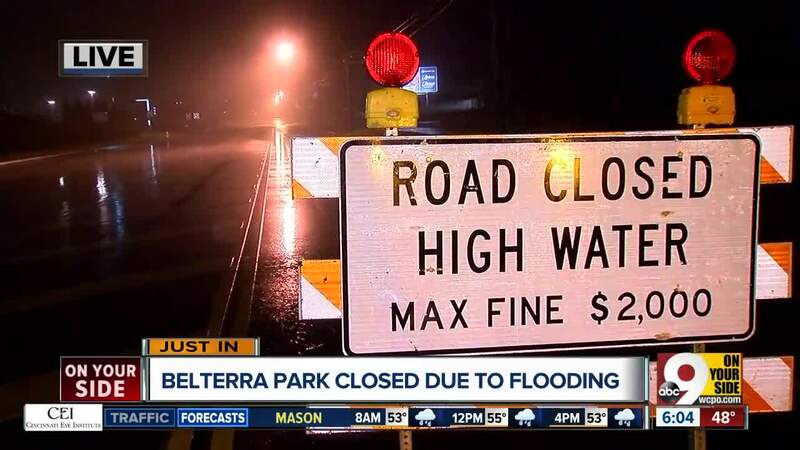 Flooding begins to affect sections of Route 52 in southeast Hamilton and Clermont County. Low lying roads in Bromley and Ludlow also flood.